Combine first 9 ingredients. Place half of mixture in a zip-top plastic bag; reserve remaining mixture. Add chicken to bag; seal. Chill 2 hours. Preheat grill to medium-high heat or broiler. Remove chicken from bag, and sprinkle with salt. Place chicken on a grill rack coated with cooking spray OR broiler rack lined with foil; grill/broil 8 minutes on each side or until done. 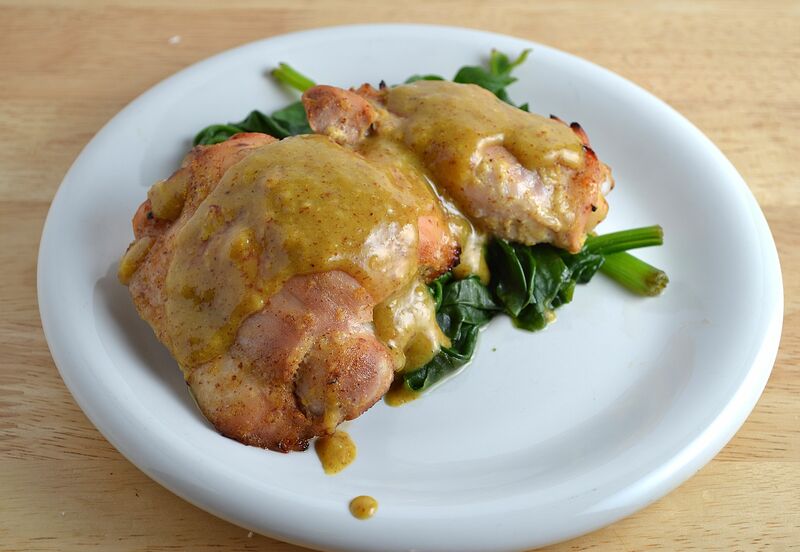 Serve immediately with reserved mustard mixture.